Deep learning has started to have an impact on sports analytics. Several papers have applied action-value Q learning to quantify a team’s chance of success, given the current match state. However, the black-box opacity of neural networks prohibits understanding why and when some actions are more valuable than others. This paper applies interpretable Mimic Learning to distill knowledge from the opaque neural net model to a transparent regression tree model. 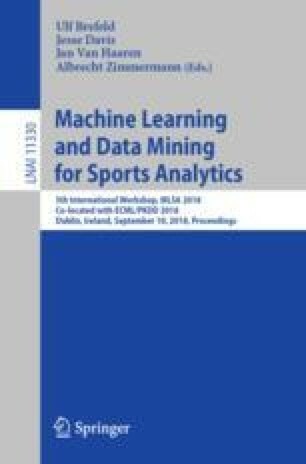 We apply Deep Reinforcement Learning to compute the Q function, and action impact under different game contexts, from 3M play-by-play events in the National Hockey League (NHL). The impact of an action is the change in Q-value due to the action. The play data along with the associated Q functions and impact are fitted by a mimic regression tree. We learn a general mimic regression tree for all players, and player-specific trees. The transparent tree structure facilitates understanding the general action values by feature influence and partial dependence plots, and player’s exceptional characteristics by identifying player-specific relevant state regions.